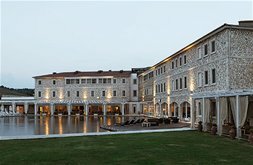 Located in the heart of Tuscany�s spectacular Maremma region, Terme di Saturnia Spa & Golf Resort is now even more accessible to travelers worldwide as it has recently launched a comprehensive Facebook page, allowing �fans� to stay informed of the latest resort happenings. 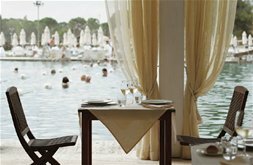 The resort invites all to �become a fan� of Terme di Saturnia Spa & Golf Resort, go to www.Facebook.com and search for the resort�s name. The Facebook page was launched mid-August 2010 and already has hundreds of Facebook friends. Included on the Facebook page, visitors will find a wide assortment of resort information, such as details on the latest package deals, photos and streaming videos of the resort, upcoming events and news as well as feedback from other visitors. The site will be updated frequently to ensure that �fans� are well-informed of the latest news and also provides an excellent outlet to share past resort experiences. Terme di Saturnia Spa & Golf Resort, which is a member of Leading Hotels of the World and the exclusive Virtuoso, features 140 guestrooms, a state-of-the-art spa with 53 treatment rooms, two restaurants under the supervision of a three-star Michelin Chef, an Aldo Coppola Hair Salon, a conference center with meeting room for up to 250 people, six outdoor pools and an indoor pool, a replica of a traditional Roman bath house, fitness center, tennis court, practice green, Cruciani Luxury Cashmere shop, Spa Boutique, Spa Cafe and an art gallery. The luxury resort, which is a member of Leading Hotels of the World and the exclusive Virtuoso, offers daily and weekly rates that include use of the resort�s thermal pools, Roman Bath with Sauna and Steam bath, and thermal water falls. The rates also include a guided morning hike, use of the gym, not including classes, and a reserved deck chair and sun umbrella in the pool�s park. 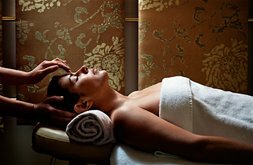 A true medical spa with a staff of 45 therapists and five medical doctors, the spa features therapies for beauty, stress management and thermal and hydrotherapy treatments based on the area�s unique thermal waters which date back to the Etruscan period. The 3,000-year-old thermal pool has been flowing continuously into the natural crater nestled at the center of the resort, containing precious minerals and salts which were found by the ancient Romans to have healing effects on aches and pains. For more information on the resort please visit www.termedisaturnia.com or call +39 0564 600111.